Developer communities are akin to tight-knit local meetups for niche programming languages or massive online communities centred around platforms like Github or Stack Overflow. So, what made few developer communities tick? This article tries to throw some light on strategies employed by successful developer communities. As a community starter, the first question one should ask themselves is why developers want to join the community: is it because they are going to learn new skills or make their work easier? What is the impetus for building the community by asking questions like, whether the community is built around an open-source project? Are the developer tools available? Is there a platform with an API? Is it like a partner ecosystem? Or is it just selling a product? For communities built around technology products, maintaining functionality is obviously going to be paramount to encouraging user longevity. But maintaining core functionality is only the tip of the iceberg when it comes to Developer Experience (DX). Innovation is key to any community. Breaking the stereotypes and disrupting the culture can sometimes reap benefits altogether. For instance, Netflix started the microservices thing. Every developer runs what they write and they are responsible for fixing their tools. This strategy of Netflix affected the engineering culture in a big way. Freedom and responsibility are at the core of Netflix’s business strategy. They attract talent by giving employees the freedom to be creative and flexible. Gitlab is another community where engineers have the advantage of getting to build a tool that’s used by the people who do what they do. “Dogfooding” is part of GitLab’s DNA. Engineers quickly become domain experts for their products. Whereas, Facebook’s little red book gives a gist on how to dodge the competitors and stay afloat. “The quick shall inherit the earth,” it says—stressing the importance of releasing fast, failing fast, and learning fast. Management believes the industry is moving so fast that there’s no point in having a five-year plan. Instead, they have a six-month plan and a constantly shifting 30-year plan. Those who plan on starting a community can get some insights from knowing about the kind of developers this community is meant for and what kind of developers it would or has attracted pre and post-launch. One could start with asking questions which might seem trivial on the surface- the age of developers, whether these developers are from urban areas or from underdeveloped nations and languages which are used more. For instance, knowing the average of the community can give insights(mostly stereotypical) like whether they are young; if young there is a good chance of them using Python over Java. If they are middle-aged, then the amount of time spent will be considerably low compared to those in their teens or mid-twenties. For early users, if they want to try out new technologies and they recognise the expertise of community owners, it would incentivise them to get more involved. In a successful community, technology will speak for itself and thought leadership and engagement skills usually occupy the back seat. With over 9 million registered users, Github is now among the top 100 most popular sites on the internet. GitHub democratised software development in a more complete way than Google Code or any other service that came before. And that’s the most valuable currency in the software development world. 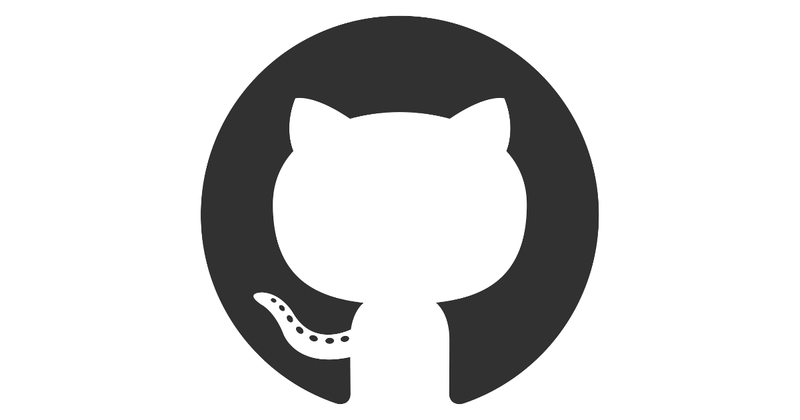 Git, the “version control” software on which GitHub is based. Linus Torvalds, the creator of Linux, created Git in 2005 as a better way to build Linux. Git made it easy for many people to work on the same Linux code at the same time. Git lets anyone download the copy of source code, make necessary changes and then upload it back to the central Linux repository. This made changes merge seamlessly together. One more remarkable genius of Git is, coders can not only move code on to their own machines as they work on particular projects but can easily “fork” code as well, creating new and separate projects. They can keep some code private while publicly exposing the rest on GitHub or have nothing private at all. Today Github houses tools of giants like Microsoft and Google. Google announced that after ten years, it’s shutting down Google Code. And the reason is no big secret. Not only Github but even Stackoverflow has been immensely successful and there is no techie who hasn’t been on Stackoverflow no matter how trivial their coding error was. The main reason behind Stackoverflow’s success could be credited to its community moderators, who have the independence of regulating the content, so as to keep the spammers away. The reward points make the credibility of any contribution quite evident and it works the same way for irresponsible commits. People contribute and get rewarded. More reward, more recognition and more motivation to contribute more to a community. The developer grows along with the community. The story is almost similar in the case of Codeproject and codeplex. Codeproject even allows the developers to import the Github project and also makes the searching easier with its user friendly interface. The ease of access, transparency, strict modulation and guaranteed reward system(career growth) for reputed contributors run undercurrent behind all these successful communities. Authenticity is crucial for any community. Not only the development of tools and frameworks are open sourced, but the developer community also contributes by debugging and solving the most trivial errors and make the solutions available for free. Since the open-source nature of these communities usually attracts third party players, for example digital marketers who promote sponsored ads, these kind of distractions should be minimised to maintain the authenticity of quality of forums. Transparency is a sure shot way to guarantee the authenticity, which developers and newcomers look for in a community. This also ensures quality by keeping the unwanted players at bay. Open source communities are more than a license and software development platforms; it’s also about the people.